I gotta say, I’m one for reminiscing. 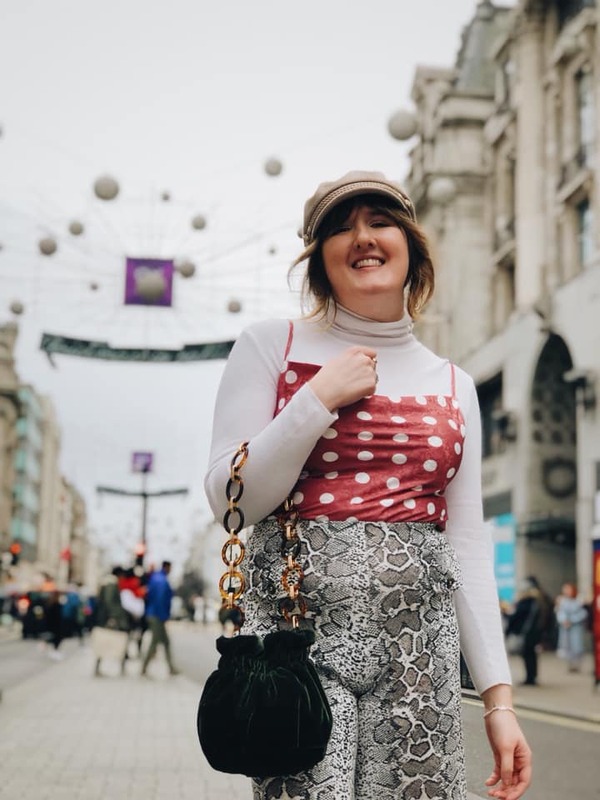 Whether that be about happy memories, my favourite holidays or well-loved garms, I like to look back on defining moments and see how they’ve shaped me into the person that I am. And today, we be reminiscin’ about all three. University’s gettin’ pretty stressful bein’ in third year, and I’ve got to say it makes me feel a lil sad that I can’t devote the time I want to to blogging, so today’s post has to be a bit short and sweet, I’m afraid. Just know that I’m super busy n if I could, I’d be producing more detailed content- and hopefully once I’ve graduated, I’ll be able to do just that! You just might have to bear with me a lil bit this year. Anyway, onto the postin’! The happy memory: how completely content I felt travelling Europe with Sam this last September. The favourite holiday: Paris and Amsterdam, our wee lil European road tour. The well-loved garm in question: this polka-dot playsuit from Monki. These few days in September are some of my happiest memories for a few reasons. Paris is my absolute favourite city ever- I would move there in a heartbeat. To be able to head back to my favourite city brought happiness like nothing else. And Amsterdam was a joy- I’d never been before. There’s something about exploring someplace new that just gives ya a new lease of life. And not only was I back in my favourite ever place, I felt the most content I’d felt all summer. And I was incredibly lucky to be spending this holiday with my love. It was one of those memories that just felt so right, y’know? I think it’s preeeetty clear by now why this holiday was a special one: I’m obsessed with all things Paris. 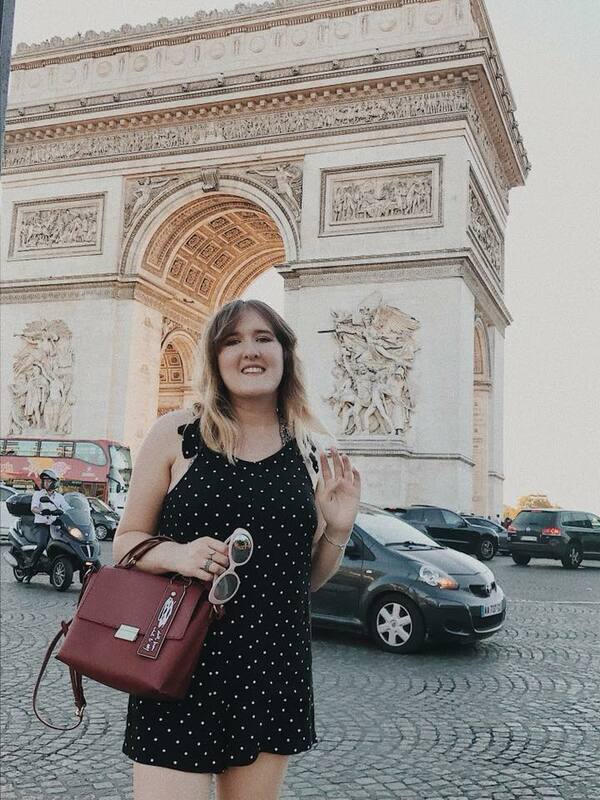 Whether that be the architecture, the romance of the city or the way Parisians dress, I genuinely think I’m a Parisian at heart- my name is French, after all. We got to do all the things on this holiday that we’d missed the first time we visited Paris: whether that be tackling my fear of heights clambering up the Eiffel Tower and indulging on a macaroon at the top, or going on a sunset cruise along the Seine, it just all felt magical. As for Amsterdam, being swept up in one of the greenest and most accepting cities was a joy. Now to the garm in question: this polka-dot playsuit. Versatile as heck, this lil baby from Monki has seen me through 30 degree heat in Paris and 18 degrees in Amsterdam, to the depths of British autumnal nights with tights n a turtleneck. And for those of you that may fancy purchasing, it’s now just £8 (!!) in the Monki sale! Go snap it up!! Loose fit and relaxed, this playsuit floats over the body and means you can carry that food baby without anyyyone noticing. The polka-dot is very much a trend that is here to stay, and it’s such a classic trend that will just work for years to come. And the adorable bow detailing to the shoulder means that you can tie the playsuit to fit tight or loose, so ya can mix up the vibe you’re going for each time you wear it. I just adore it, and I’ve worn the playsuit to death since I purchased it in Monki’s Carnaby Street store in London back in July! Now for what I’m really getting at with this post: how have these three things shaped me to become the person I am right now, a stressed yet happy bunny in her third year of university? Well for a start, the ability to relax as well as I did those few days in September, right before going back to university, meant that I started back for third year in the right frame of mind. After a summer of dissertation planning, reading list readin’ and other kinds of stressin’, it was nice to take a breather before beginning the work all over again. And travelling to two wonderful cities inspired lil ol’ me, and made me determined to chase the goals I’ve been wanting to achieve with my degree. There’s something about feeling inspired that lights a fire in ya to keep on a’goin’. As for the wee playsuit, it now sits pride of place in my university wardrobe, just ready for a turtleneck to make it winter appropriate! So ends my reminiscings: time to focus back on the present. I’ve got a tough few weeks ahead at university before Christmas- deadline after deadline are hitting, but I’ve also got some very exciting things to look forward to. And if there’s anything these happy memories have taught me, it’s that you’ve got to grab every opportunity by the balls and milk it! So I’m making sure that although I’m working super hard this year at uni, I’m going to enjoy every moment, too.